I love homemade jam! 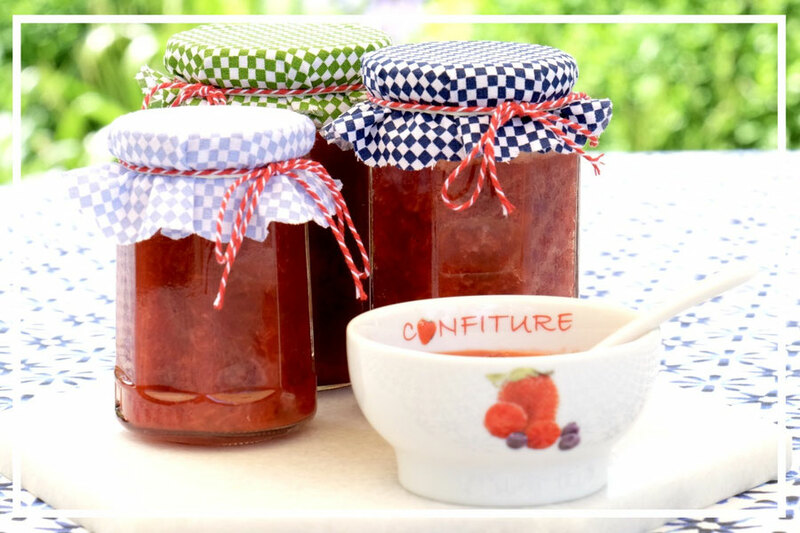 I love any kind of jam to be honest, but in my opinion, homemade jam is simply the best. You know exactly what kind of fruit goes in and you can adjust the sweetness to your taste. Even the process of making jam is fun to me; the perfect way to spend a (rainy) afternoon! 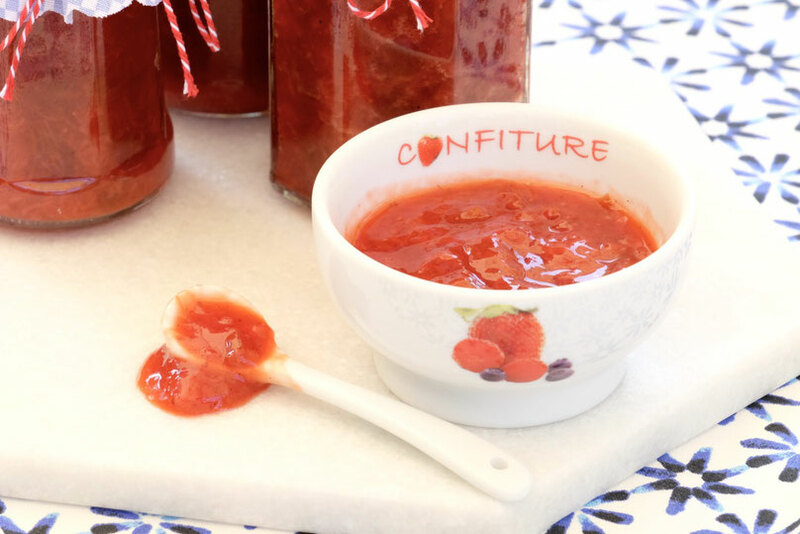 Also, everyone loves jam so homemade jam makes the perfect gift for family & friends. And the combination of strawberry and rhubarb with a hint of vanilla is so, so good. Need I say more? I made a simple strawberry jam with my mom a few weeks ago, because we had bought loads of strawberries and couldnt't even eat them all. We made about 5 glasses and most of them were gone by the end of the week - we gave some away to friends and ate the rest (fresh strawberry jam and yoghurt is sooo good). So we decided to make some more the next weekend, this time pairing strawberry with rhubarb. The two kinds of fruit go so well together, because the rhubarb is quite tart and really cuts the overwhelming sweetness of the strawberries and the sugar. The vanilla adds kind of a ''spicy'' aroma to the jam. We used a certain kind of jam sugar available in Germany, which is made of pectin and sugar. Three parts of fruit need one part of this certain jam sugar. But I'm sure you can do this with any kind of jam sugar, just follow the instructions on the back! Another tip I have for you is to clean the jam glasses really well ahead of time. This way you can concentrate on stirring the jam while it's cooking. Everything else is written in the recipe below. Have fun! Wash the glasses really well and put them aside. Add the strawberries to a big, high pot and use a potato masher until the strawberries are mostly broken down. Then add the rhubarb. The rhubarb will break down when you're cooking it. Add the juice of one lime. Half the vanilla pod lengthwise, scrape out the vanilla beans and add the beans as well as the pod to the fruit. Put the pot on the stove over high heat and bring everything to a boil while stirring. Now let the jam boil according to the instructions on the sugar while stirring continously. Use a ladle to fill the glasse. Close the glasses with the lid and turn them upside down (this helps sterilizing the lids). After about 10 minutes you can turn the glasses upwards again, but be careful, they'll be hot! The jam is delicious warm and cold.